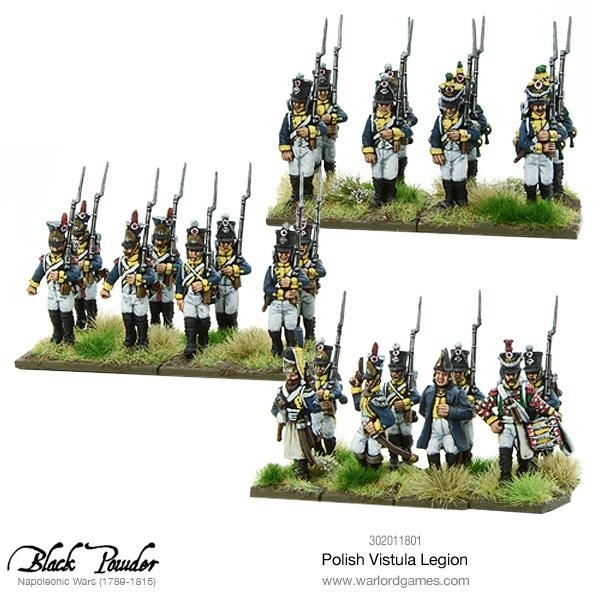 The Vistula Legion was perhaps the most famous of the many foreign units in French service under Napoleon. 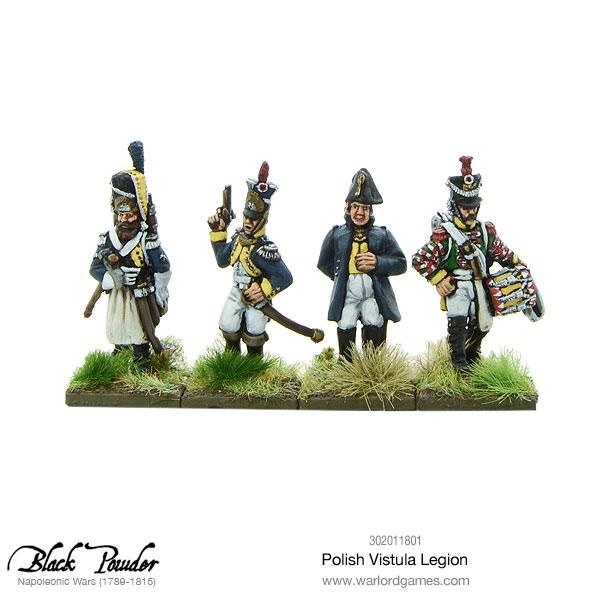 Formed in Silesia in February 1807 from an infantry regiment and cavalry regiment in the service of the Kingdom of Naples, it was initially named the Legion Polacco-Italienne (Polish-Italian Legion) as it had been organised around the Poles in Italian service. 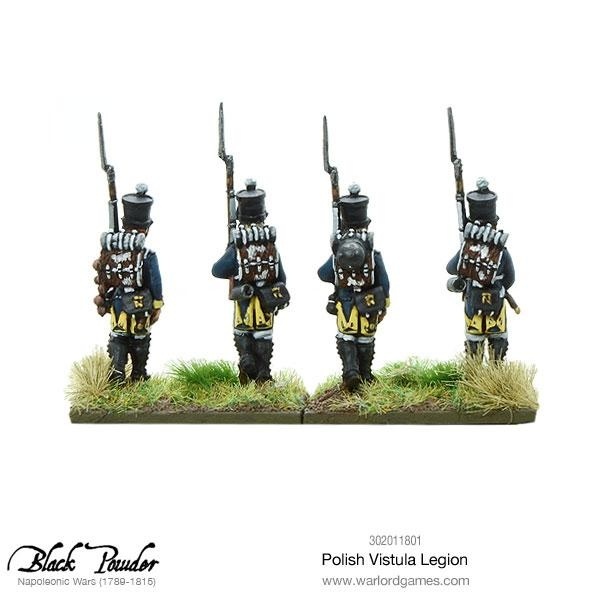 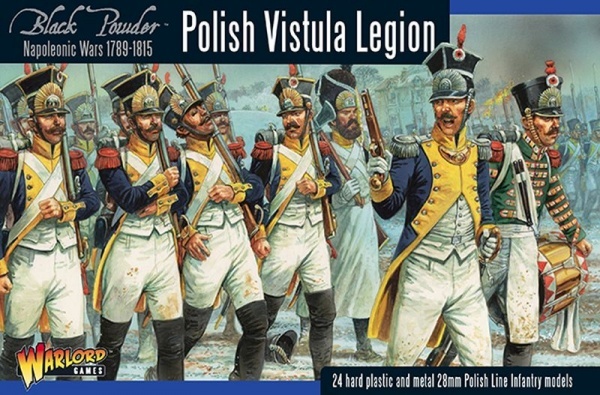 20 plastic and metal easy-build Polish Line Infantry. 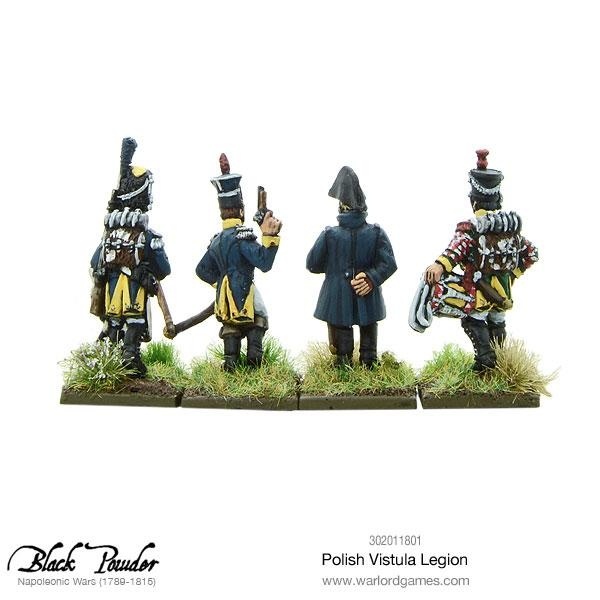 4 metal command miniatures (two officers, one drummer and one sapper). 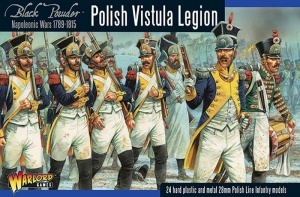 Renamed the Légion de la Vistula (Vistula Legion) in March 1808, it became three infantry regiments, each of two battalions, with each battalion having six companies of 140 men (one grenadier company, one voltigeur, and four Fusiliers), plus a Lancer regiment of 1,000 men in four squadrons. 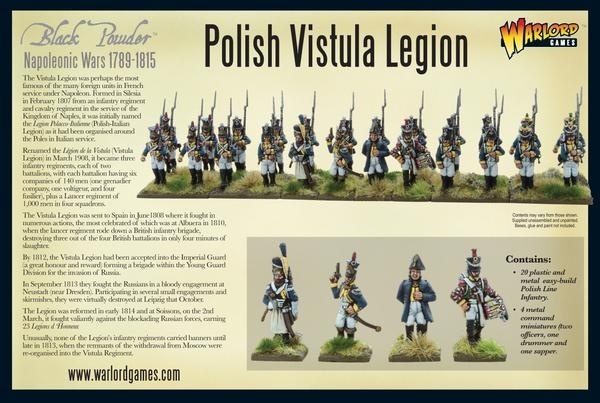 The Vistula Legion was sent to Spain in June 1808 where it fought in numerous actions, the most celebrated of which was at Albuera in 1810, when the lancer regiment rode down a British infantry brigade, destroying three out of the four British battalions in only four minutes of slaughter.